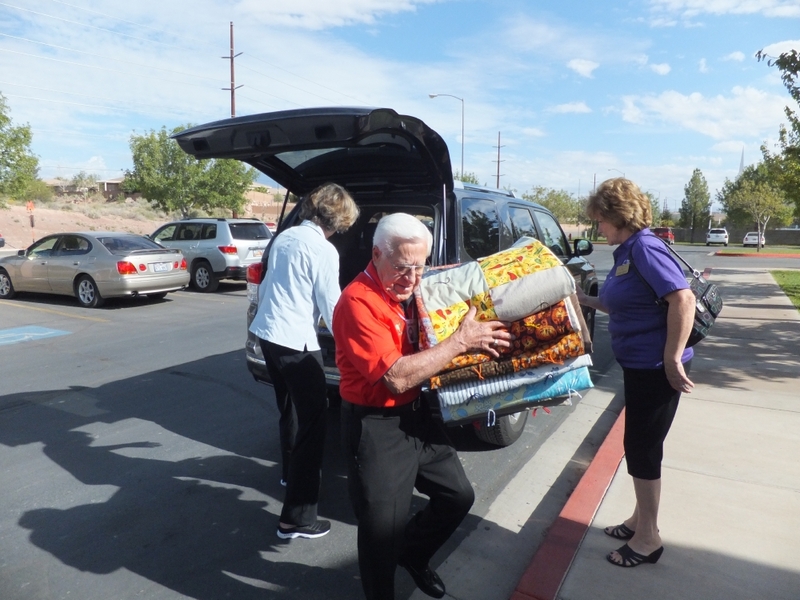 ST. GEORGE – The Dixie Elks Lodge #1743 will be recognized for their charitable efforts in a short documentary film, to be broadcast this weekend. The documentary, “Giving Back,” was created by the Elks National Foundation to show the public how the Elks enrich the community through scholarships, grants and volunteer work. 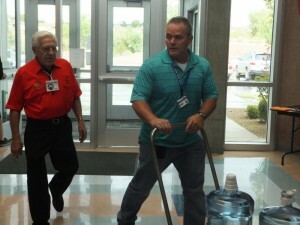 From thousands across the nation, the Dixie lodge and their service at Millcreek High School were chosen to be featured. “Giving Back” was filmed the second week of October at Millcreek, an alternative high school for troubled students in St. George. It will air on the Fox Business News Network this Saturday, Dec. 29, at 3 p.m. EST and on the Documentary Channel this Sunday and Dec. 23 at 1:30 p.m. EST. 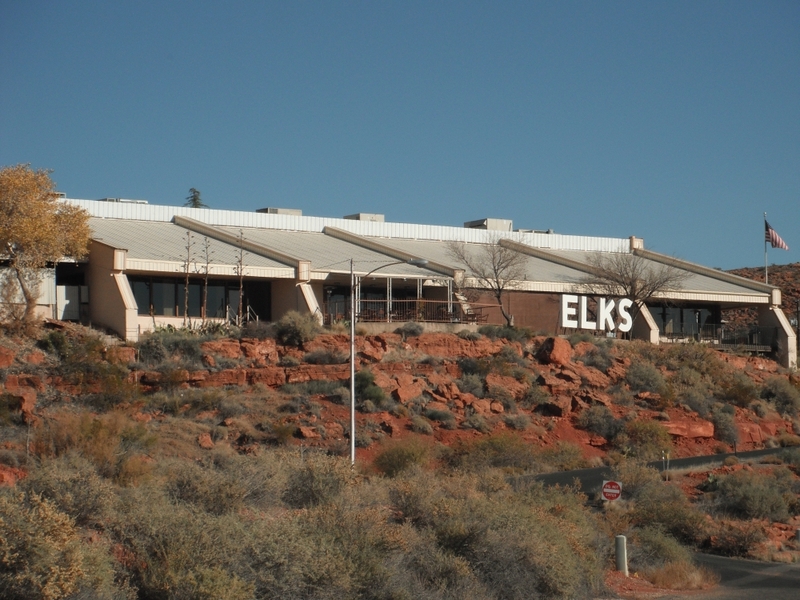 The Elks have provided Millcreek with scholarships for more than a decade, but it wasn’t until late 2009 that they realized the school’s need extended far beyond money. During a meeting between lodge and school representatives to discuss scholarships for the coming year, a student knocked on counselor Heidi Tasso’s door asking for canned food from the teacher’s lounge; Millcreek faculty often brought extra food to work for students who did not receive enough at home. Through a $10,000 grant from the Elks National Foundation, the lodge began work on installing a full-time pantry. Their involvement with the school has since expanded to facilitate bus passes, backpacks, school supplies, clothing, food, water, hygiene products, beds, baby items and more. They have created partnerships benefiting Millcreek students with the Salvation Army, the Utah Food Bank, the St. George Catholic Church, SunRiver St. George, various wards of the Church of Jesus Christ of Latter-day Saints and local doctors and also implement the youth in community service through volunteer work at the St. George Marathon, the DOVE Center, Big Brothers Big Sisters of Utah and Elk charity events. 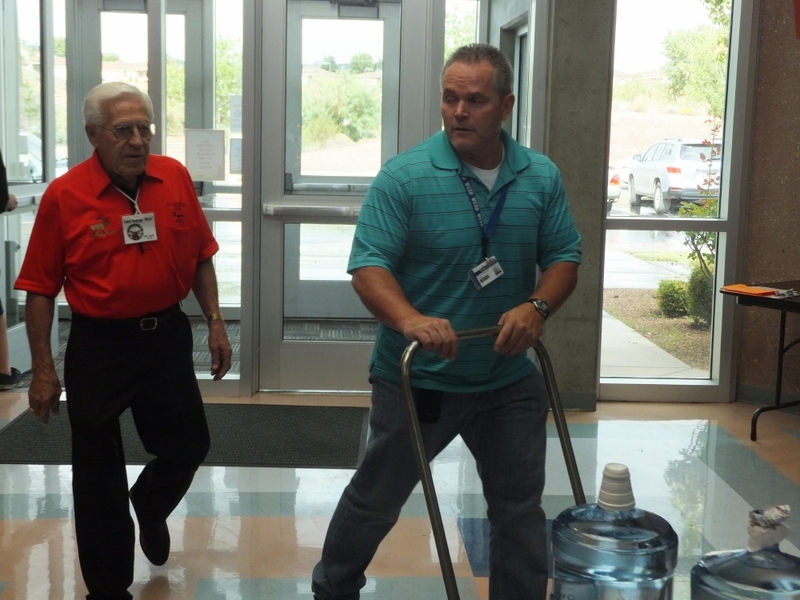 In addition to their work at Millcreek, the Elks are active in the community through numerous other avenues. A Survivors and Executors Workshop, which helps families of veterans through the process of dealing with a veteran’s loss, is scheduled for January 2013. In May, the lodge will host all HeadStart students and parents in the county to celebrate the end of the school year. “There are few days in the calendar that we are not in the community, working on a cause or helping a group,” Archambault said. 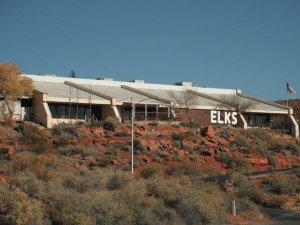 To find out more about the Elks, contact Dixie Lodge #1743 at 435-673-1743. They must be racist too…Dixie Elks Lodge? I mean, come on man! Slavery is wrong! I’m offended by your name! Slavery is wrong for sure, but hanging that baggage on the name “Dixie” is overreach. Dixie is just an affectionate nickname for the South. Is everything about the South objectionable because slavery occurred there? To the “rebel without a cause”, ( Notice there are no capital letters none needed) Really, you are offended by by a Name. Yet your name is an OXYMORON (as you probably are yourself) Get a REAL life and do some good instead of complaining about “Dixie Elks Lodge”. (They do more GOOD in what they believe in than you will with your negative attitude.Do you do even have the intelligence to know what you conplaining about? What about the Saint in St.George? Aren’t you going the complain about that also. Because, by your statement you are not a Christian. ATHEIST!!! i am not offended by your name only by your lack of intelligence! GOOD DAY……. I suggest you do some research of your name before making judgments. Check out this site http://en.wikipedia.org/wiki/Rebel_Without_a_Cause, then read it, and you’re my widen your education. You were probably not born at that time but it nor the name Dixie have absolutely nothing to do with slavery! Dixie refers only to the South. I also know a few women, including a cousin, named Dixie but they aren’t slaves! Your statement offends ME! It’s preposterous and even laughable to insinuate that a name, place or organization means that nothing good can come from it.